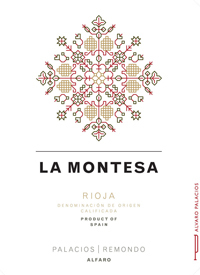 Rioja, SpainThe character of wines produced at Palacios Remondo is the sum of some 2,000 years of grape growing. The former Baja, now known as the Orientale, or eastern La Rioja, was historically the land of exchange where, for centuries, merchants, pilgrims and settlers passed through the region trading. Nearby on the Yerga Mountains, the Cistercian order founded its first monastery in Spain. This wine is a blend of sloping sites from Yerga to Valtomelloso, Valviejo and Valfrío as well as nearby sites at Las Mugas and Valmira, home of the estate’s most ancient and traditional viticulture. The Palacios have been on the land for 150 years. The 2014 is aged one year in barrel and is an 88/12 blend of garnacha and tempranillo. Cedary red fruit jumps from the glass with bits of smoke and plums. It’s all dry-farmed and almost half of the fruit is abandoned to ensure texture and quality. Paella or lamb both work here. It’s delicious, real wine.Tasted: 22 March 2018Tasted by: Anthony GismondiPrices: BC	25.49	private wine shops AB	20.00	private wine stores ON	25.00	consignment - Woodman QC	19.40	SAQ Producer: Palacios RemondoDistributors: International Cellars Inc.